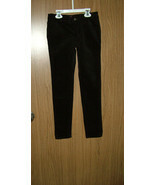 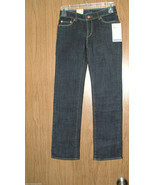 startrekkie2010's booth, featuring 462 items, including Levi's Girl's Slim Straight, Adjustable Waist Jeans,Sz 8 & 10 Reg. 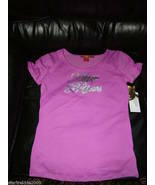 Dark Wash.NWT, BABY PHAT FOIL KITTY TEE WI/SIDE TIES, MIMOSA,SZ 4,NWT , BABY PHAT FOIL KITTY TEE W/SIDE TIES, MIMOSA , 2T, NWT , Epic Threads Girls Black, Velvet Pants, Size 8(US).NWT, NWT ARIZONA Girlâ€™s Purple Polo Shirt, Short Sleeves, Size Medium(10-12), Levi's Girl's Slim Straight, Adjustable Waist Jeans, Size 8 Regular, NWT, Route 66 Baby Girl Plaid, Front Buttons Tunic/Top, Size 3-6 Months. 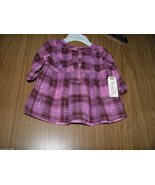 NWT, Levi's Girl's Slim Straight, Adjustable Waist Jeans, Size 10 Regular, NWT, NWT Little Bitty, Girls Dress & Hat, Yellow Color, Sz.5, NWT Apple Bottoms Girls Purpule Foil/Logo Tee, Size Large.NWT, Young Hearts Little Girls' Silver Faux Fur, Purple Linned Hood Jacket, Sz. 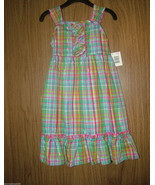 4.NWT, BABY PHAT FOIL KITTY TEE W/SIDE TIES, MIMOSA NEON COLOR, SIZE 2T, NWT, Basic Edition Girl Stripped, Sleeveless, Plaid Sun Dress, Sz.Small 4/5(US)NWT, Guess Big Girls Sleeveless, Ruffled Light Denim Dress,Size XL. 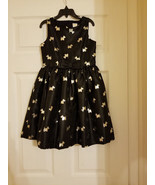 NWT , Gymboree Girls Black & Gold Scottie Dog Holidays/Christmas Dress, Size 7. 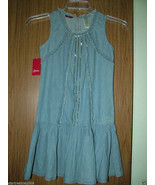 NWT, Guess Big Girls Sleeveless Ruffled Light Denim Dress,Size Large. 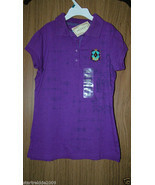 NWT, Apple Bottoms Girls Purpule Foil/Logo Tee, Light Purple Color, Sz Large(US). 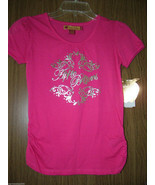 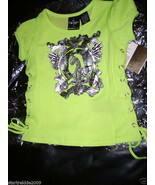 NWT, Apple Bottoms Girls Pink, S/Sleeves, Foil Print Logo/Graphics Tee, Sz.Large. 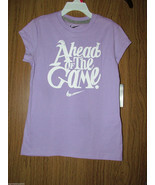 NWT, NIKE Girls' Ahead of the Game Graphic T-Shirt, Size Small, Purple Color.NWT. 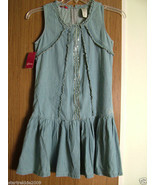 A notification has been sent to startrekkie2010 about your wish to chat with them. If they are available, they should be around within 5-10 minutes. 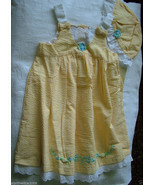 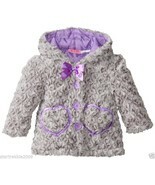 Showing 19 products in "Girls' Clothing (Sizes 4 & Up)"